The goal of this study was to examine the FA composition of wild and farmed Atlantic salmon (AS) and rainbow trout (RT). FA profiles were obtained by GC/FID. 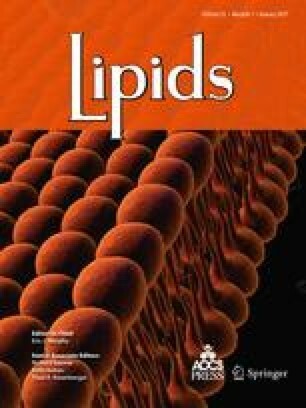 Results showed that lipid and n−3 highly unsaturated FA contents of farmed and wild AS were similar. Total n−3 and n−6 PUFA were significantly higher in farmed AS than in wild AS. Farmed RT contained more fat and less n−3 PUFA than wild RT. Our results show that farmed salmonids provide high levels of n−3 HUFA to consumers.